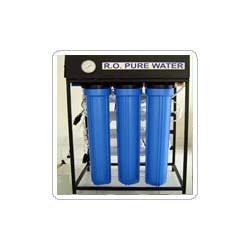 Reverse Osmosis, also known as hyper filtration, is the finest filtration known. This process will allow the removal of particles as small as ions from a solution. Reverse osmosis is used to purify water and remove salts and other impurities in order to improve the color, taste or properties of the fluid. It can be used to purify fluids such as ethanol and glycol, which will pass through the reverse osmosis membrane, while rejecting other ions and contaminants from passing. Enriched with a vast industry experience, we are capable of manufacturing a qualitative range of Institutional Reverse Osmosis Plants. 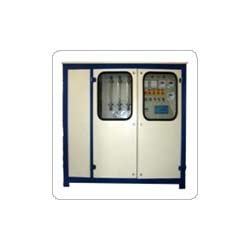 Provided with semi-permeable membranes, these systems are known for purifying the fluid passed through it. The range of institutional reverse osmosis systems offered by us is highly regarded for its longer functional life and fine finish. Conceding to the demands of our clients, we offer Industrial Reverse Osmosis Plant that is manufactured using the advanced technology. User friendly in its features, it is widely acknowledged among our customers. Attributing to its hassle free functionality and longer functional life, the entire range of the reverse osmosis plants offered by us is highly acclaimed in the market. 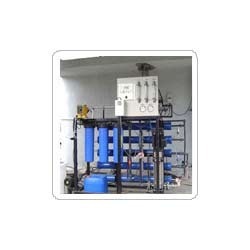 We are a credible name that is involved in offering Skid Mounted Industrial Reverse Osmosis Plants. Used for removing salts and impurities, it helps in purifying the water. The provided membranes ensure the smooth operation of the osmosis plants offered. Furthermore, the range of the industrial reverse osmosis plants offered by us is highly regarded for its longer functional life and easy usage. 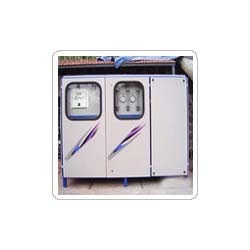 We are one among the prominent manufacturers of Wall Mounted Industrial Reverse Osmosis Plant. To ensure the smooth operation of the plant offered, it is provided with a high quality R.O membrane. It is further known for enhancing the original goodness of the water. We check the entire range of the industrial reverse osmosis plants on various parameters and hence assure an optimum range for our customers.